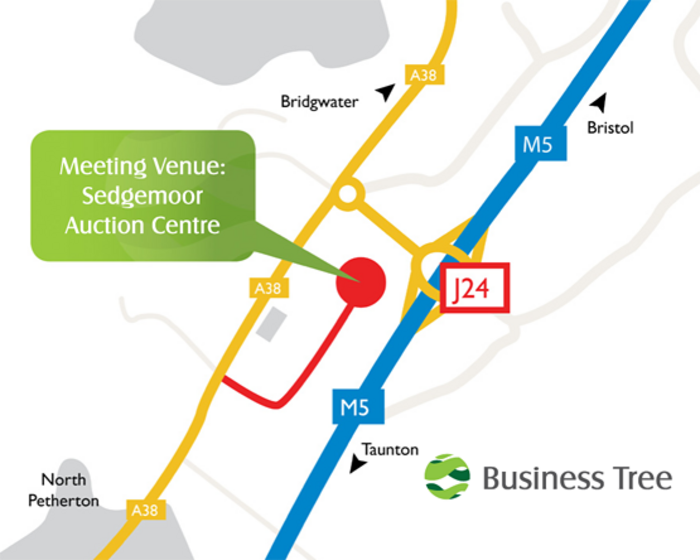 The Business Tree is a friendly group of like-minded business professionals who meet every Friday in the Huntworth Suite at the Sedgemoor Auction Centre just outside Bridgwater, near Junction 24 of the M5. The Business Tree was formed in January 2011. The majority of our members have been attending weekly meetings together since 2007 and have long established, mutually beneficial relationships. Collectively the Business Tree group has a wealth of experience across a wide range of industry/business sectors. Our meetings are a good humoured blend of structured routines and informal elements. "We seek to establish and develop professional connections with each other, such that our businesses grow." Whether you've been invited to attend a Business Tree meeting by one of our members or you've heard about the Business Tree and wish to find out more, you'll be made to feel welcome - in advance of an intended visit, please contact one of our members so that we can book you in. We provide a free breakfast for a first time visitor. A routine part of our weekly meeting structure is that each member (and visitor) takes it in turn to make a one minute presentation about their business. These presentations typically relate to particular products and services offered.